I feel very fortunate to be drawn to the world of silversmithing. For me, to be a Judaica designer in Israel is the most natural career path I could have chosen. I have always been fascinated by the customs and traditions connected to Jewish ceremonial objects. I am constantly moved as I add my own modern, creative interpretations to symbols that are long imbued with rich historical meaning. As I work with silver and other metals, I draw on both old and new methods and highly disciplined process, meshing them with my own emotions and internal world. My original interpretations merge contemporary ceremonial pieces with the ageless traditions of their use. These pieces become essential elements in the lives of the families who treasure them. They are touched, admired, loved and ultimately handed on to future generations, ensuring that the customs which bind us together persist and remain central in Jewish lives. 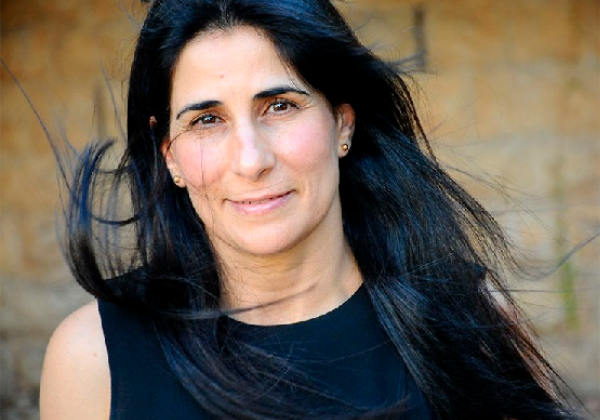 2013 Member, Board of Governors, Bezalel Academy of Art and Design, Jerusalem. 2010 Selected as part of “Design Edition”. The Jewish Museum, NY. 2017 ‘Keep It Light’, Vessels for Memorial and Remembrance Candles in the contemporary Jewish art of the Bezalel School. The Jerusalem Biennale, Skirball Museum. 2016 ‘Judaica now’: Wine goblets and Kiddush cups of the Bezalel School, Rishon Le-Zion Museum. 2015 ‘Precious Sayings’ – Contemporary Jewelry. Hankin Gallery, Holon. 2013-2015 ‘Pointing the Way: women design ceremonial objects’. A special exhibit, the Israel Museum, Jerusalem. 2013 ‘Havdalah’, the Center for Jewish Art, Bar-Ilan University. 2013 ‘The whole truth… Everything you always wanted to know about Jews’, The Jewish Museum Berlin.